Politics in the United Kingdom is currently focused on a debate between so-called “austerity” and public investment. The past seven years or so provide a case study on the economic and social effects of spending and deficit reductions. Yet, as noted by Daniel Mahoney, the doomsday scenario described by critics of the government’s fiscal policy has failed to materialize. A reduction in the UK government’s deficit since 2010 has been associated with a relatively strong economic performance. This paper was released as part of MLI’s Lessons of the Anglosphere series, and we are pleased to showcase it here. 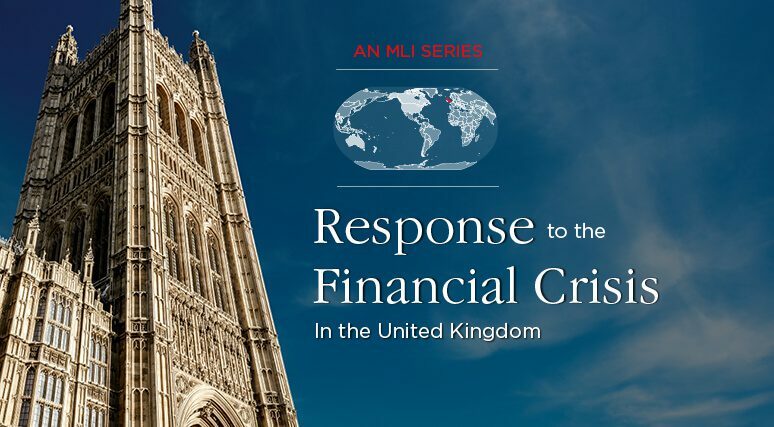 To read the full paper, titled “Response to the Financial Crisis in the United Kingdom,” click here. Daniel Mahoney is Deputy Director and Head of Economic Research at the Centre for Policy Studies (CPS).